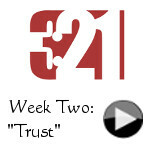 > If you missed the 3:21 Community-On-Mission sessions, you can listen to the audio recordings here. What is the 3:21 Initiative? Our first step in this initiative began in July 2017, when the members of Calvary voted to re-commit to making disciples at 6520 Ray Road in Raleigh through the expansion/renovation of our current facility. This vote included a commitment of time, talent and treasure, and the 3:21 Initiative is about prayerfully preparing our hearts to respond to God’s grace to us by making and keeping a commitment to the vision of bringing glory to God in this generation and the next by making disciples where we are and where we have been sent. Our current facility has shown the wear of 40+ years of use, needing improvements for long-term viability and safety. What Do We Hope to Accomplish at 6520 Ray Rd? • We desire to care for people of all generations, providing safer and improved children’s areas, as well as ADA compliant facilities, meeting the needs of a diverse community. • We desire to see spiritual growth for all ages, by making disciples of Jesus Christ where we are in Northwest Raleigh, and where we are sent into our neighborhoods and beyond. When Do I Begin Fulfilling My Commitment? • We are asking the congregation to begin fulfilling commitments upon the ground-breaking for the renovation/expansion of the building. • Early Giving: Those of you who wish to begin fulfilling your commitment to 3:21 may do so at any time by including “3:21 Initiative” on the memo line of your check. How Else Can I Support The 3:21 Initiative? • Pray for Calvary: Continue using the Prayer Cards and prayer dots to remind you to pray for Calvary. Though we have prayerfully made our commitments, this is only the beginning of what God is doing in and through the 3:21 Initiative. • Participate: Please prayerfully consider how the Lord would have you continue participating in the life of this church through giving your time (i.e. worship, Life Groups, prayer, fellowship, etc. ); talent (i.e. serving); treasure (i.e. give as God leads). • Place: When you pledged, you received a remembrance stone. Keep this stone in a prominent location in your home, and continue praying for the ministry of Calvary and the 3:21 Initiative when you see it. When, by God’s grace we return to the renovated/expanded facility, we will place these remembrance stones in a clear container to be displayed as a remembrance of God’s faithfulness to bring glory to His name in and through this congregation in this generation and the next. Members and friends of Calvary wearing their 3:21 T-shirts.